Guest reviewer Mellow Mummy likes to mellow out in the evening with a relaxing cup of chai. 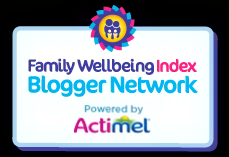 Emma has been testing out the luxurious range of teas from Tea India - find out below whether they helped her maintain her mellow mood. 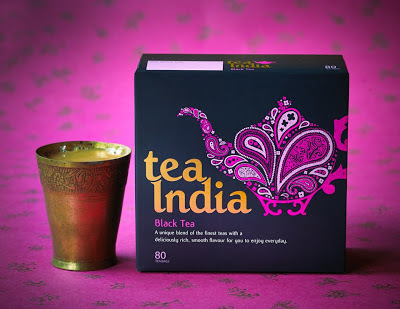 There is nothing I like more in the evening than a good cup of tea and Tea India's signature blend black tea is exactly what I look for in a good evening brew. 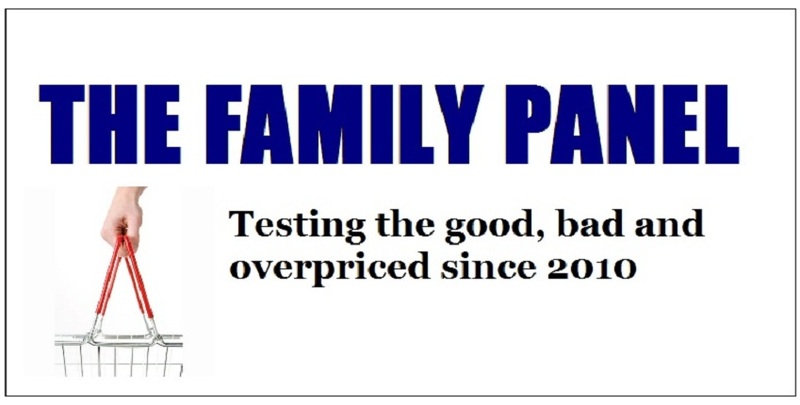 It is a strong, all black blend of Assam tea (in a bag, not loose lead). The tea isn't smokey or tangy in any way. It is a very traditional, smooth and flavoursome tea with all the comforting notes that I look for in an every day tea but somehow it tastes that little bit more special. At present, I really look forward to my evening tea. 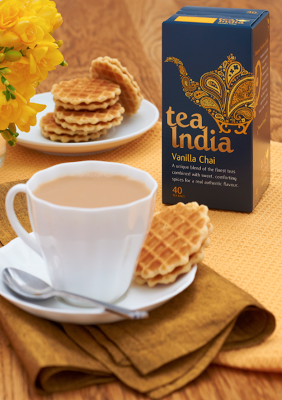 Tea India also make three different vibrant Chai blends - A Masala (spiced) Chai, a Cardamom Chai and a Vanilla Chai. I tried out the Vanilla Chai which is so much more than just a blend of tea and vanilla. The Tea India Vanilla Chai also mixes in subtle notes of cinnamon and cardamom so it makes a very floral, gently spiced drink which is surprisingly light. I found the Tea India Black Tea to be equally perfect for a morning pick me up as it was for my evening wind-down. I think the Vanilla Chai is best suited to a mid-afternoon drink as a way of finding a time-out from the hassles of the day. I'm not that big on flavoured teas so I opted to try out some of the Chai in an experimental recipe inspired by one of Tea India's recipe cards... this weekend we had guests over for a big curry lunch and, when we served ice cream for pudding, I also offered a drizzle of sweet sugar syrup that had been infused with Tea India's Vanilla Chai; it made the perfect accompaniment. 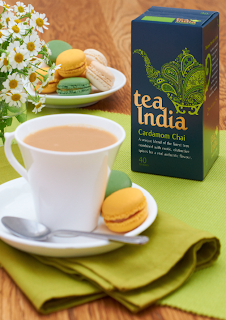 All Tea India blends are ethically sourced based on the Ethical Trade Initiative. Tea India is available in selected Tesco stores nationwide, priced at £2.59 for the Black Tea and £2.39 for Chai blends.